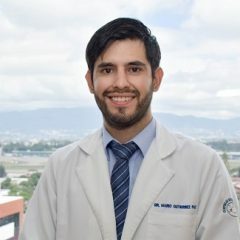 Dr. Dr. Jose Castellanos is a member of the elite team of cardiologists of Hospital Herrera Llerandi, located at the heart of the prestigious hospital district in Guatemala City. 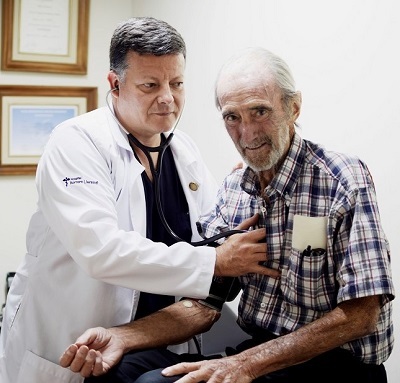 Dr. Castellanos has been practicing in this location since 2005 and generally performs between 250-300 cardiac procedures per year, including catheterization, alcohol septal ablation, angioplasty and valvuloplasty. Sometimes patients feel pain in the chest, like pressure, burning, heaviness or squeezing. Symptoms of coronary artery disease can also include dizziness, nausea, sweating or general weakness. In any of these circumstances, it is wise to have a consultation and complete check- up with Dr. Castellanos right away. A conventional coronary angiogram can show the doctor if your coronary arteries are blocked or narrowed, where, and by how much. He can see if you need treatment such as angioplasty (a stent), coronary artery bypass surgery (CABG), or medical therapy. 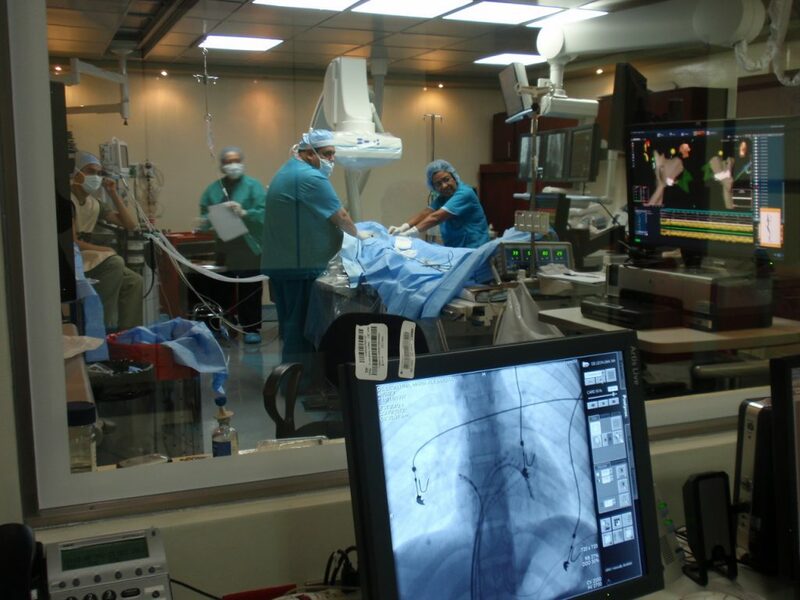 A coronary angiogram is the most common type of cardiac catheterization procedure. If necessary, Dr. Castellanos can open clogged heart arteries (angioplasty) during your coronary angiogram. In a peripheral angioplasty procedure, a catheter is inserted into a blood vessel in the groin. 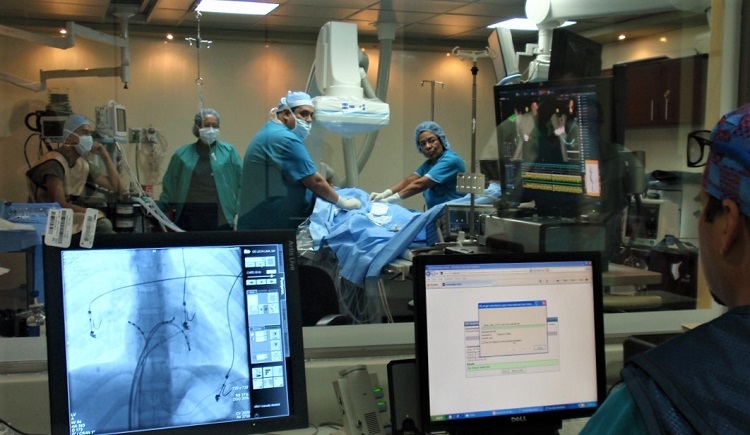 Then, using high-resolution fluoroscopic video and film equipment, the catheter is guided through the peripheral artery to place a balloon that will be inflated so that it opens the blocked artery. After the blocked area of the peripheral artery is widened, the balloon is deflated and removed. Finally, the blood can flow easily and naturally through the arteries to supply life-giving oxygen to the heart. 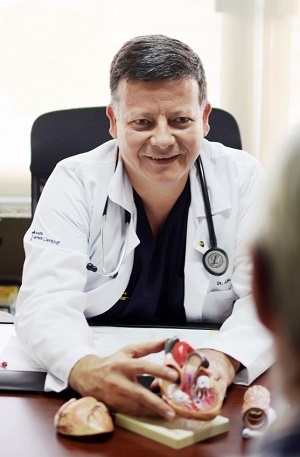 Dr. Castellanos has also conducted research studies related to Type II diabetes, hypertension, coronary syndrome, as the principal head of the trial. 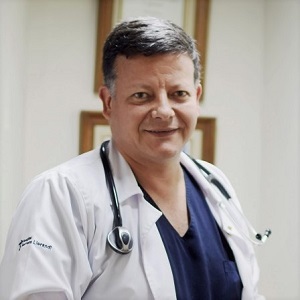 You can depend on Dr. Castellanos to offer the highest quality research, experience, medical skills, and genuine compassion to assure his patients of the best possible outcome, to live longer and happier with a heart full of gratitude. 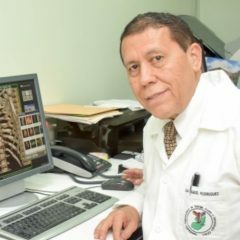 Presidente de Junta Directiva Semana Cientifica. 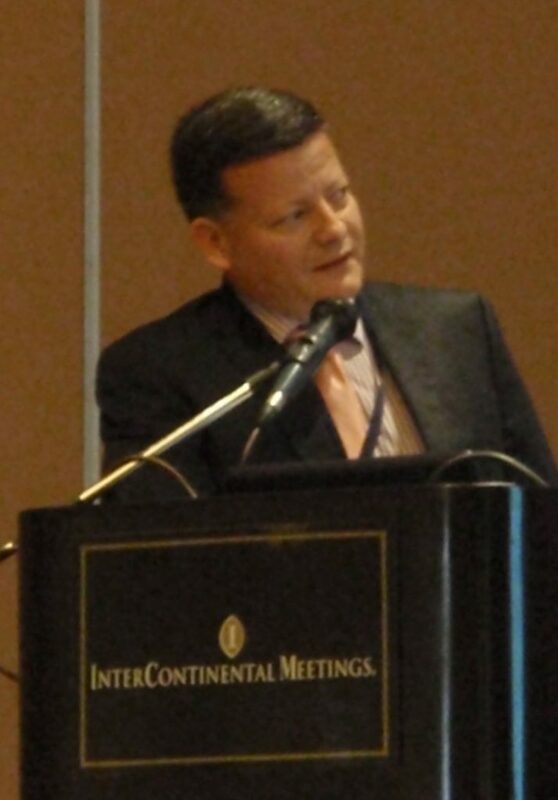 President of the Board of Directors for the Science Week Convention. Regulating the rhythm and flow of your heart. 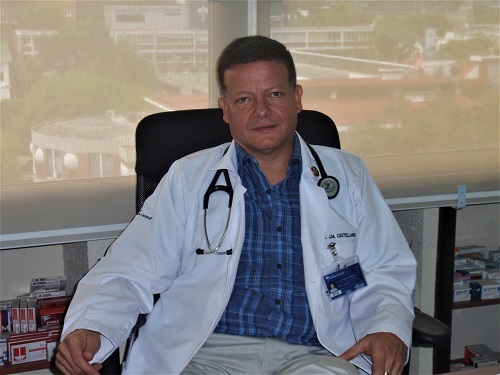 Dr. Jose Castellanos is the “plumber”, or interventional cardiologist, who might look for restrictions in the blood flow by initiating a cardiac catheterization. 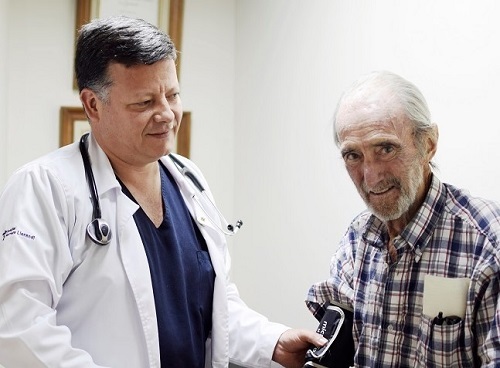 With these results, he can determine whether the vessels can be dilated by an angioplasty and supported by stents, or if a CABG (coronary artery bypass grafting) surgery is required. In other cases, the valves might need to be repaired or replaced to regulate pressure at optimum efficiency. The “electrician”, or electro physiologist will look at the force and the rhythm of the heart to calculate an irregularity that might inhibit blood flow to the organs. He may determine that an ablation is required to destroy those malformations that are interfering with normal impulses, pressure, and rhythm. 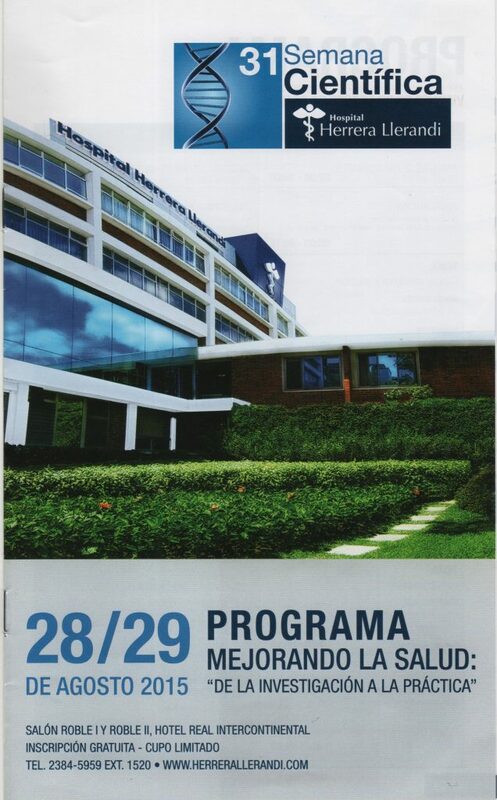 On a Thursday morning in October, I was invited to observe a cardiac ablation procedure at Hospital Herrera Llerandi in Guatemala City. To treat the patient’s arrhythmia, the lead cardiologists insert various specialized wires called electrodes through the veins, and then carefully place them in predetermined areas of the heart. Together with the medical staff, they measure electrical activity to locate the origin of abnormalities and make precise corrections, by burning or altering the areas, to allow for normal electrical stimulation. The doctors humbly explained to me that there is no director in the operating room. 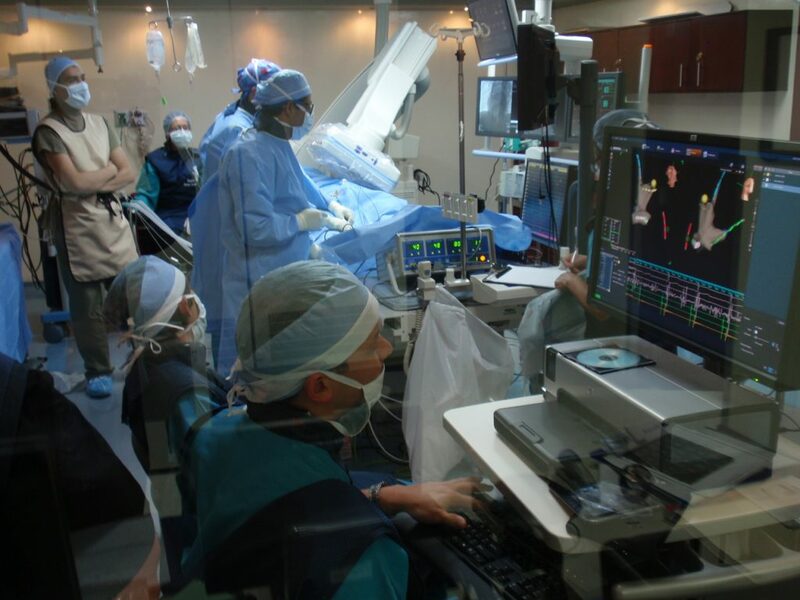 Every cardiologist, anesthesiologist, nurse, assistant, and technician is a valuable contributor to the operation, with a clearly defined responsibility. Each job is integral to assuring the success of the procedure. 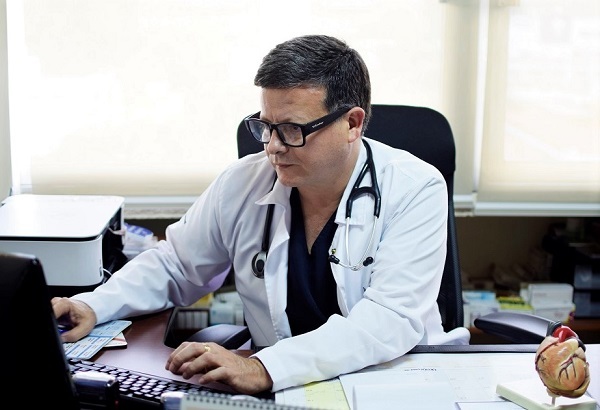 The time flew by, and three hours after the patient was wheeled in, the series of procedures was wrapping up and reports were recorded and printed for his file. Between the sterile protection of the face mask secured with Micropore tape, and the blue skullcap pulled tight to thwart the escape of even a single strand, the doctor’s unmistakable squint, and twinkle conveyed the words we all want to hear, with all sincerity: “Everything’s going to be alright”. I want to THANK YOU IMMENSELY! Dave went to see you on Thursday, accompanied by my partner Dan. It turns out that my friend Dave has critical aortic stenosis due to having a bicuspid aortic valve and will need open heart surgery as soon as possible to avoid 50% chance of dying within two years. You have definitely been a major contributor to improving his quality of life. Thank you!!!! I would like you to thank both doctors for me. The heart and lung doctors especially (Drs. 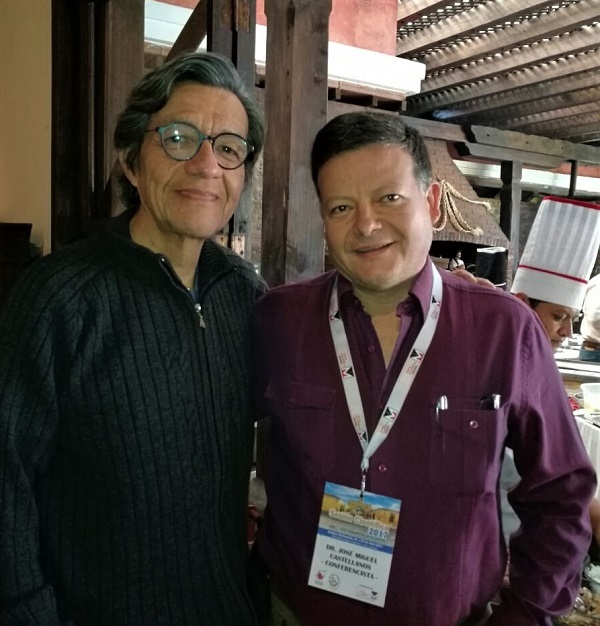 Jose Castellanos and JP Moralejo). 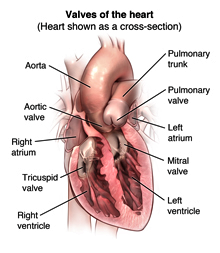 It seems I have a mass in the mediastinum, the area between the heart and lungs. It is a cancer … My internist says it “was a gift from God” that it was found by Dr. Castellanos. All my doctors in Chicago are interested in knowing how it was it found, because this is not too usual a place to have a mass. 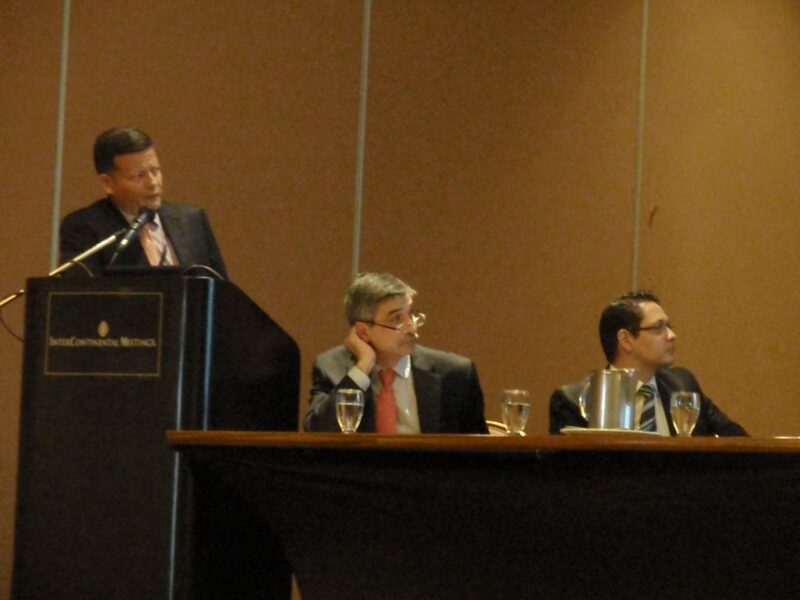 With the fast intervention of Dr. Castellanos, my progress is quickly moving forward. 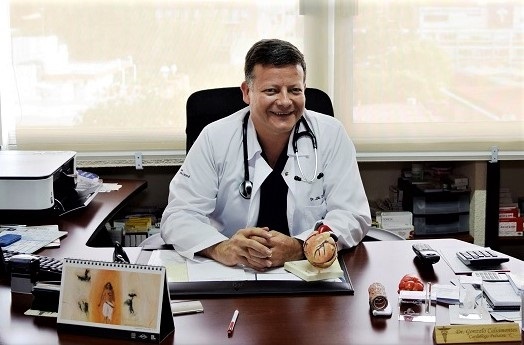 I can’t believe the special VIP treatment I received throughout my care with Dr. Castellanos. From my first visit, scheduled one day in advance, until my release from the hospital, it was the best possible medical experience I could ever hope for. Greetings. A year ago this morning, you cut open my chest and took my heart out of my body and worked on it on a table for an hour and nineteen minutes, (I think I was told that). Well I guess it’s safe to say that it worked! At least for a year! God knows about the future and, without much choice in the matter, I’ll take it as it comes. But you good doctors pulled me back from the brink and gave me another chance to “stay alive and in the game!” Thank you! I think you would be pleased if you examined me – I weigh 160 lb. Nine years ago I weighed 240 lb. I avidly and happily engage in an average of at least 90 minutes of strenuous aerobic exercise every day, every day! I kayak most mornings, and do at least an hour of aerobic movement in the pool. I basically give myself a “stress test” every day, often several times, and have had not a moment of angina in a year. And then I work out in a gym for another half hour or so most days. Blood pressure a few minutes ago was 126/64/71. The first number is often below 120. Had an EKG a couple of months ago and it was fine. Stopped taking the blood pressure med due to low pressure; stopped taking cholesterol med because figures were better than normal. They asked me, “What were your symptoms?” I was driving down the road to El Salvador and started having a strong backache and sweating profusely. I went to a Medical Alert station where they indicated that it was nothing and I was perfectly fine to continue. 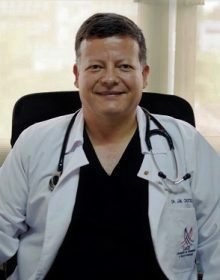 I called my wife and she decided to take me to Hospital Herrera Llerandi where they called Dr. Jose Miguel Castellanos. The situation got complicated. The doctor explained that I suffered from pneumonia and was diagnosed with a disease called SIRPA which is a syndrome of acute pulmonary respiratory failure. He told me that this disease kills eight out of ten sufferers and that the heart attack that I suffered was quite strong, with complications of pneumonia and sirpa. Thanks to god and the intervention of Dr. Castellanos, I was one of those patients who was saved, and able to be alive today to give my testimony to everyone. We are happy to have Dr. Jose Castellanos as our primary doctor in the city. He looks at the big picture of every issue to explain how all aspects of heart and circulation work together. I like that he has the skills and confidence and no-nonsense approach to evaluate and correct the problem without wasting time and money. He is everything you would expect in a really good cardiologist.